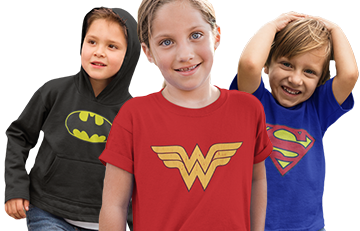 Looking for a Wonder Woman t-shirt style to keep up with your very young, constantly growing Wonder Woman fan? 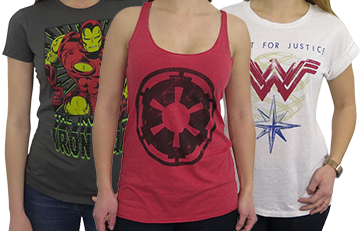 Then look no further than our Wonder Woman Symbol & Stars Kids T-Shirt available in toddler, juvy, and youth sizes! 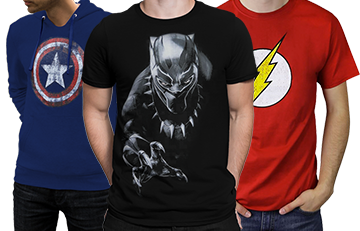 The 100% cotton Wonder Woman t-shirt for kids features purposely distressed graphics for that lovingly washed and worn look, including a large, commanding Wonder Woman symbol, and a blue-trimmed shield filled with white, encircling stars. This bold red t-shirt will absolutely compel your children to help those in need while questioning the current authority who knowingly allowed for the acceptable state of chaos. Get ready for a lot of back-talk. Got this as a birthday present for my friend’s five-year-old. She loves it. Fits great. Youth T-shirt - it is what I was expecting from fabric & print to made well, color & true to size. Super cute shirt for children. Bright and the gently distressed emblem is perfect.